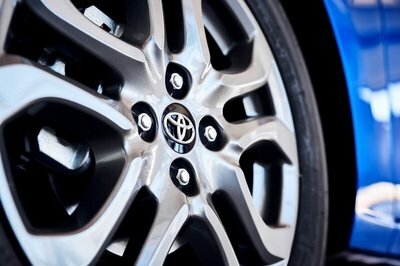 Like every automaker that’s worth its salt, Toyota’s bottom line is the most important thing the company has to take care of. And, with the U.S. car market experiencing a shift in demand the likes of which we haven’t seen in a long time, the Japanese automaker is in the process of reviewing its entire U.S. lineup with the possibility of dumping nameplates or models that have become sales anchors on the market. A final decision isn’t expected to happen soon, but with the U.S. auto market getting dominated by SUVs and pickup trucks, Toyota’s model lineup could experience a dramatic shake-up in the near future. The Toyota Yaris GR Sport is the more down-to-Earth version of the limited-run GRMN. It features some sporty styling, but much of the oomph of the GRMN is gone, akin to a sheep in wolf’s clothes. Last year, at the Geneva Motor Show, Toyota unveiled the Yaris GRMN hot hatchback to the world. A run of only 600 units was slated for 2018 for the car that was inspired by the Yaris WRC but, confusingly, presented itself with GRMN logos all round. GRMN stands for Gazoo Racing Masters of the Nurburgring – so not really related to rallying. In any case, the 209-horsepower pocket rocket was fun to drive and powerful enough to excite. 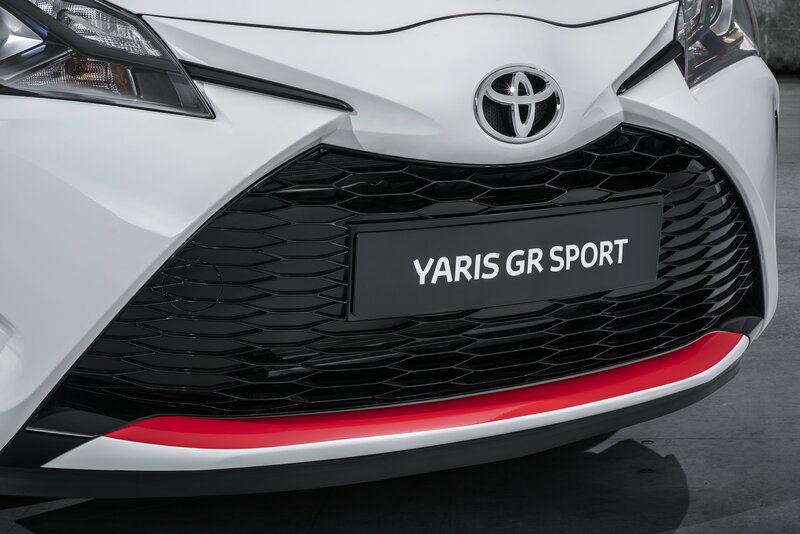 Keep reading to learn more about the Toyota Yaris GR Sport. The new Toyota Yaris GR Sport was unveiled at the Paris Motor Show and it showed its finely built body, GRMN-tuned suspension and courageous face that looks for trouble. Limited edition Toyota Yaris GRMN was met with great enthusiasm from the car community, but that was just a highly limited car. The Yaris GR Sport isn’t. It also isn’t as special as the Yaris GRMN. The 2017 Geneva Auto Show had plenty of supercar action, but the Toyota booth had quite the nice surprise for performance enthusiasts, in the shape of the new Yaris GRMN. Based on the WRC-spec rally car, the GRMN is the Polo GTi and Fiesta ST competitor we’ve been asking about for years, but it wasn’t the only Yaris show in Switzerland. Alongside the performance version, Toyota also displayed the regular Yaris, which just received a mid-cycle update. Now sporting a revised front fascia with more angular lines and a sportier bumper and larger taillights around back, the Yaris has taken a more aggressive stance against the competition. The fresh design is backed by a revised interior with new technology and an enhanced safety package, while the drivetrain department has news to share too. 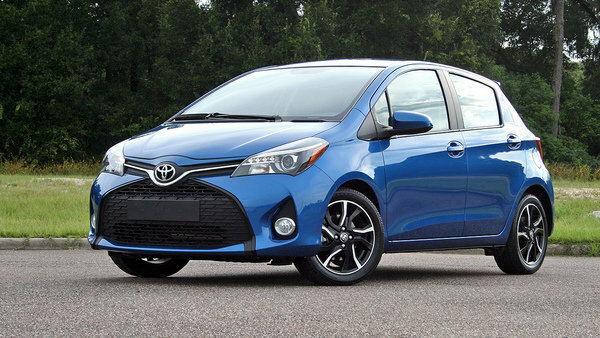 On top of the new GRMN model with the supercharged 1.8-liter engine and a mild update to the hybrid version, the Yaris also ditched the 1.3-liter unit in favor of a brand-new, 1.5-liter four-cylinder engine. Powerful yet more efficient, the new unit also makes the Yaris quicker, which is a big plus with so many nippy options on the market right now. 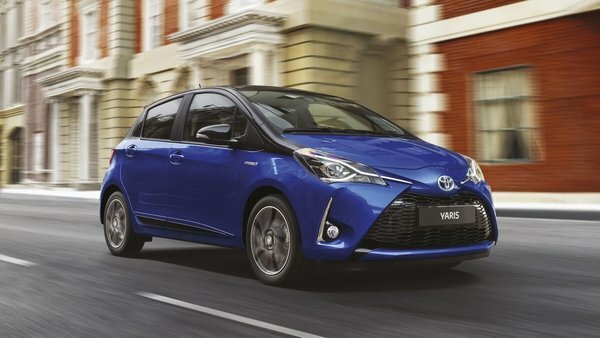 All told, the Yaris gained quite the comprehensive update and it’s now one of the most modern and advanced propositions in this crowded niche. Find out how it compares with the competition in the my review below. Continue reading to learn more about the Toyota Yaris. We all know competition in the auto world is absolutely ruthless these days. The pressure to make a sale is enormous, and that means each and every update has to be as effective as possible in order to keep a model afloat. For example, take the new Toyota Yaris. While technically just a mid-life refresh, this latest model year of the Yaris ushers in a slew of tweaks, refinements, and additions, which, taken as a whole, might qualify as a whole new generation just a decade ago. It makes sense when you consider the Japanese brand has sold over three million of these things between 2001 and 2016. That’s a lot of Yarises (Yarii? ), even when spread out across numerous major markets, including Europe, Africa, North America, the Middle East, and Asia. Clearly, this subcompact hatchback is an important model for Toyota, and as such, the company invested some 90 million euros ($95.3 million) to improve it. Many of the updates take after the Vitz, the Yaris’ Japanese equivalent, and include new styling, more equipment, improved handling, new safety features, and an updated 1.5-liter gasoline engine. There’s also an optional hybrid powerplant on the table, with 40 percent of the models sold in Europe being hybrids. In total, the update consists of some 900 individual new parts. Read on to see how they fit together and why this is more than a simple refresh. Introduced in 1999, the Toyota Yaris evolved into a strong competitor for the supermini market, gaining popularity thanks to its affordable sticker, roomy interior given the small size, cheap maintenance, and good fuel economy. But even though the Yaris has become significantly better with each generation, Toyota received a lot of heat for not developing a higher performance version. Now, critics can finally rest as the Japanese firm introduced the Yaris GRMN at the 2017 Geneva Motor Show. Inspired by the Yaris WRC rally car built in cooperation with Gazoo Racing, the Yaris GRMN is the Volkswagen Polo GTi and Ford Fiesta ST competitor that Toyota enthusiasts have been requesting for years. 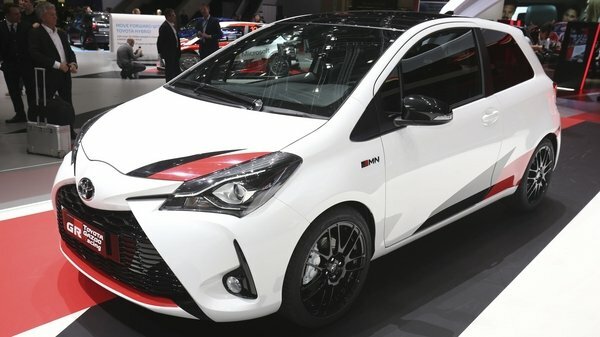 Based on the 2017 upgrade for the standard Yaris, also unveiled at the Geneva Motor Show, the GRMN has a sportier exterior highlighted by a unique front grille and foglamps, a more aggressive rear bumper with a center-mounted exhaust, a tailgate spoiler, and black and red paint accents. It also rides on 17-inch, BBS wheels. Inside, the GRMN features sports seats designed for this car by Toyota Boshoku, a leather-wrapped steering wheel taken from the GT86, and aluminum sport pedals. But arguably the most important feature of the car is the supercharged, 1.8-liter engine. Rated at “more than 207” horsepower and mated to a six-speed manual transmission, it promises to deliver “best-in-class times both for the sprint from nought to 100 km/h and acceleration from 80 to 120 km/h in fourth gear.” Specific data is not yet available, but the GRMN needs to hit 62 mph in less than 6.5 seconds for this statement to be true. The drivetrain is backed by a custom, reinforced chassis with additional bracing, a suspension system tuned through extensive testing at the Nurburgring track with input from Gazoo Racing, and a Torsen limited-slip differential. Shorter springs, dedicated shock absorbers developed with Sachs, a larger diameter front stabilizer bar, and performance brakes round off the package. Introduced for the 2015 model year, the current-generation Toyota Yaris is one of the most popular hatchbacks in its class and is already considered one of the most reliable and cost-friendly options on the market. However, Toyota has received a lot of heat for not offering a higher-performance version to go against the likes of the Ford Fiesta ST and Volkswagen Polo GTi. Well, it seems that the Japanese automaker listened and the 2017 facelift brought the first performance-oriented version of the Yaris. It’s called the Yaris GRMN and broke cover at the 2017 Geneva Motor Show. Inspired and influenced by Toyota’s return to the World Rally Championship in 2017 with the Yaris WRC, the GRMN gets its juice (surprisingly enough) from a supercharged engine and it’s the company’s first foray into a niche dominated by Volkswagen and Ford. Developed with Gazoo Racing, Toyota’s motorsport division, and tested on the Nurburgring, the Yaris might have what it takes to give the Polo GTi and Fiesta ST a run for the money. Having a new performance, subcompact hatchback in dealerships is as exciting as it gets, but the Yaris GRMN needs to check a few important boxes in order to make a difference. Find out more about that in my review below. Continue reading to learn more about the Toyota Yaris GRMN. 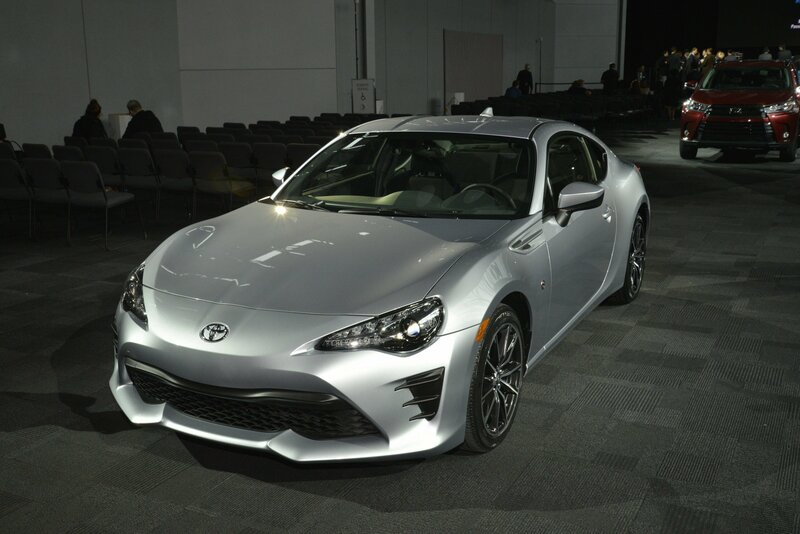 Except for a few nameplates that had the looks and sometimes the performance that recommended them for the sports car market, Toyota is mainly known as a maker of dull-looking and not-so-powerful, yet affordable and reliable vehicles. This has changed a bit recently though, as the Japanese company began using sportier designs and installing better materials in some products. More recently, Toyota took the small, city-friendly Yaris and turned it into a full-fledged rally car, feeding the imagination of those dreaming about a road-legal, performance-oriented hatchback. This dream is about to become real as Toyota just announced a sporty Yaris for the street. 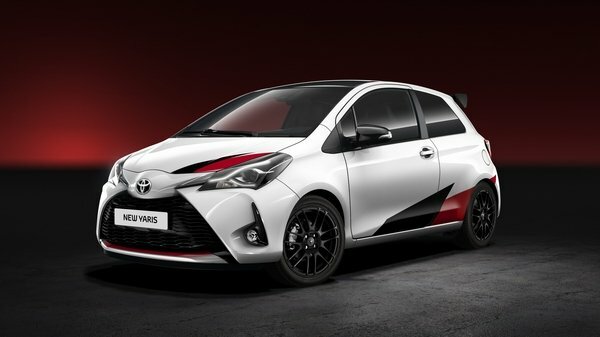 But, arguably, the biggest news is that the new range-topping Yaris will be based on a three-door version and will be powered by an engine “producing more than 210” horsepower. For reference, the most powerful Yaris available right now gets 106 horsepower and 103 pound-feet from a 1.5-liter four-cylinder engine. There’s no word as to what engine will motivate the new hot-hatch, but Toyota could use a toned down version of the 1.6-liter four-banger found in the WRC car. The race-spec engine cranks out 300 horsepower and 309 pound-feet, but expect that to drop to less than 230 horses and 240 pound-feet. Of course, the engine in the road car will be devoid of most race-prepped components. I also expect Toyota to add a bespoke, quick-shifting transmission and a significantly beefed-up chassis for sportier dynamics. Stay tuned for the details, we’ll be back as soon as we have them! The Bangkok Motor Show ran from March 23rd to April 3rd this year, and as always, there was a number of manufacturers set up to show their latest and greatest. Toyota had a decent little booth set up in between Chevy and Lexus this year. Of course, it boasted a number of its current models, but one model that stuck out in the crowd was the Toyota Yaris TRD Sportivo. As you probably guessed by the name, this particular Yaris was touched by Toyota Racing Development. Be that as it may, don’t get too excited about it because it didn’t exactly get the best TRD treatment we’ve seen in recent years. 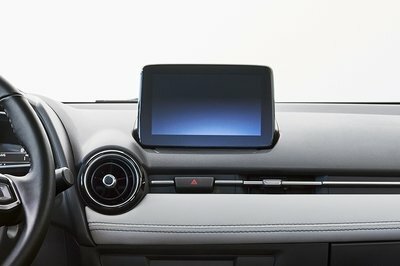 There is a pretty list of exterior options and some update to the interior to go with them, but outside of that, TRD appears to have left the drivetrain completely alone. While it’s easy to rag on Toyota for not throwing on some of TRD’s drivetrain goodies, at least it did a decent job making it visually pleasing on the outside. 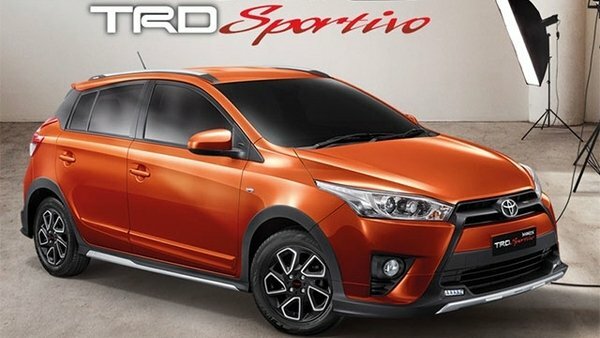 So, now that we know there’s nothing special lurking under the hood, let’s at least take a glance at what TRD did do to make the Yaris TRD Sportivo stand out. Continue reading to learn more about the Toyota Yaris TRD Sportivo. 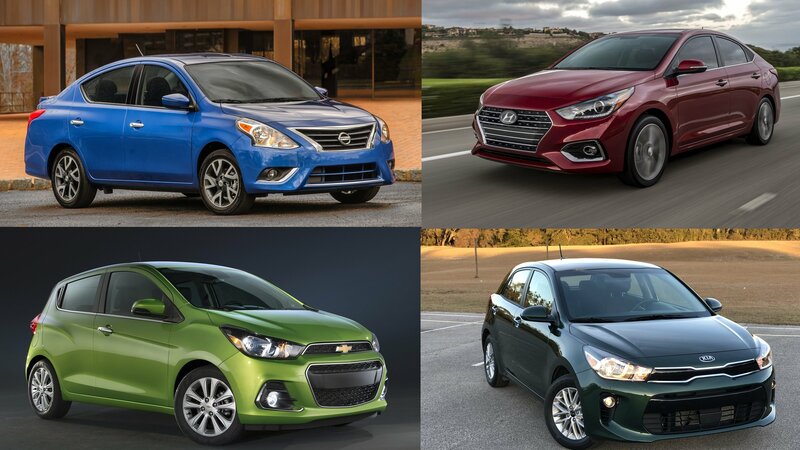 There’s just something oddly special about subcompact run-abouts that intrigue me. Perhaps it’s the small size and nimbleness that comes along with it, or maybe it’s the whole value proposition idea. Or maybe it’s just how wildly juxtaposed they are from some of the high-dollar machinery that often graces my driveway. Maybe it’s all three. Well, I recently spent a considerable amount of time behind the wheel of a 2015 Yaris – Toyota’s version of the entry-level sub-compact hatchback. Between the normal running around town and hauling the family to hurtling down the interstate for a weekend-long concert I was somehow running late for, I guess you could say I gave the Yaris a pretty fair shake. The Yaris may come in a three-door version, but the five-door is the more practical choice for young families or a college car. That’s how my tester came; decked out, in fact, in the Yaris’ top SE trim. Two-tone 16-inch alloy wheels, projector-beam headlights, and fog lights with chrome accents dress up the hatchback into something your high school friends wouldn’t have laughed at. So how’s the Yaris to live with? Glad you asked. Let’s jump into the details down below. A full 18 years after Toyota discontinued the WRC, the Japanese automaker is looking to make a comeback with this battle-ready Yaris. Plans are currently set to see the pumped-up subcompact make its competition debut in 2017, with development now proceeding under the guidance of Cologne-based motor racing team Toyota Motorsport GmbH (TMG). Previously known as Toyota Team Europe, TMG is responsible for garnering each of the marque’s titles in this highest form of rally racing. The last time a Toyota was seen scrambling for traction on a stage of the World Rally Championship was in 1999, with the Corolla WRC. That particular vehicle represented the carmaker’s final entry in the sport after more than 25 years of continuous rally competition, excluding a one-year ban in 1995 following the discovery of illegal turbo restrictors. Despite this singular blemish, Toyota’s overall record is good, including three manufacturer’s titles and four driver’s titles, thanks in no small part to the venerable TMG-prepped Celica GT-Four. An assortment of drivers and engineers are currently joining the team ranks to prepare for 2017. But will Toyota keep pace after an absence of nearly two decades? Click past the jump to read more about the 2015 Toyota Yaris WRC. 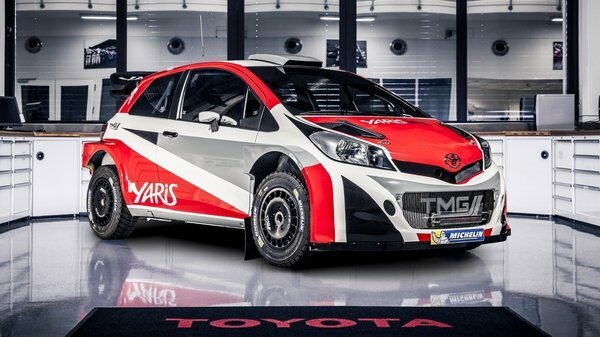 Toyota Yaris WRC originally appeared on topspeed.com on Thursday, 5 February 2015 08:00 EST.